Here you will find all the LiSoMS Videos we've made to date. Yes, you heard that right. Cir has begun to vlog! We're a little new at it, so bear with us as we make them and learn how to edit so that you get the best experience. We welcome your suggestions, comments, and support. Yes, we have a Youtube channel - The LiSoMS Channel - and you're invited! If you like what you see, please be sure to Subscribe and turn on notifications (the little bell) so you'll know when we post new videos. This is so exciting! We hope to get to know you much better by vlogging - Cir mostly - he misses the interaction with people. As a salesman, he loved his job - being able to meet and talk to people everyday was a joy for him. When he stopped working in 2000, that engagement was pretty much taken away. Now, with Youtube, he can get that back. I encourage you all to watch the videos and make comments and suggestions on what we can do better. What would you like Cir to talk about? What are we doing right with the videos, with our site here? Eventually, when we get enough subscribers and viewers, we'll even be able to do live streaming. That will be really exciting! We're pretty new to doing videos. We do have the two we made on our Home page, however, we didn't get many done as you can see. We will be adding them much more regularly now. We want to get into a rhythm of uploading at least once a week at a minimum. We'll let you know what day that will be soon. In the meantime, enjoy these newest videos, and again, if you like what you see, subscribe to our channel. Turn on notifications so you'll know when we upload. Cir is loving this way of interacting with you. It's something I've encouraged him to do for quite awhile and I'm happy to see that he's giving it a go. Most of the pages are written by me, however, most of the videos will be from him. Making them is easier for him than writing. 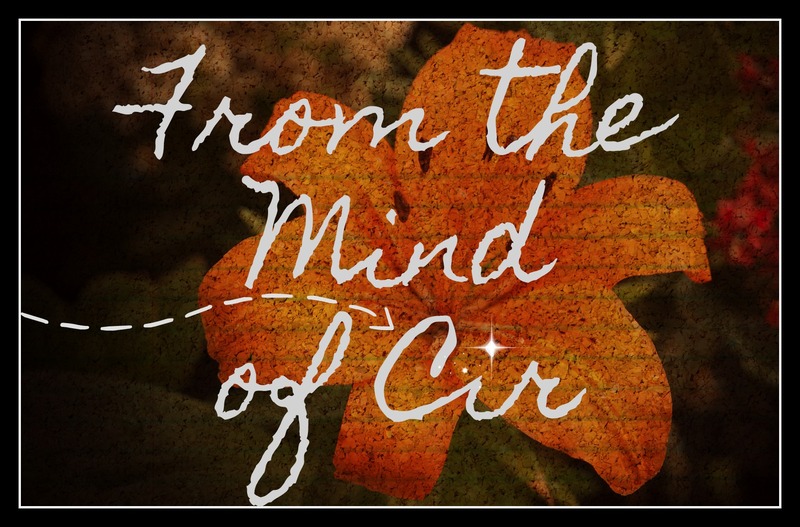 The pages on "From the Mind of Cir", were dictated by him and transcribed by me. This way - videos - he's able to speak right to you. So enjoy!